It’s hard to achieve brand alignment in a large company. And it’s even harder in a city with hundreds of thousands of inhabitants. Because everything THEY do and don’t do and say and don’t say communicates. And the city is the people. 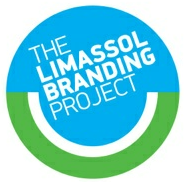 The city of Limassol has just launched the Limassol Branding Project. This is the world’s first interactive destination branding project involving the entire city in a continuous process of research and strategy and creative development on facebook, twitter, blogs and a custom built forum - supplemented by a series of live “townhall” meetings. All the people of Limassol have been invited to join. We'll talk about why Limassol is so special. Together we'll propose ideas to make Limassol a leading Mediterranean city. Then we'll decide how to tell the world all about it. This innovative project was inspired by Spyros Spyrou, a leading Limassol businesmman, joined by six other business leaders. This unique private initiative falls under the umbrella of the Limassol Chamber of Commerce, with the full support of municipal bodies, the Cyprus Tourism Organization, the Limassol Tourism Development Company and the Cyprus Shipping Chamber.